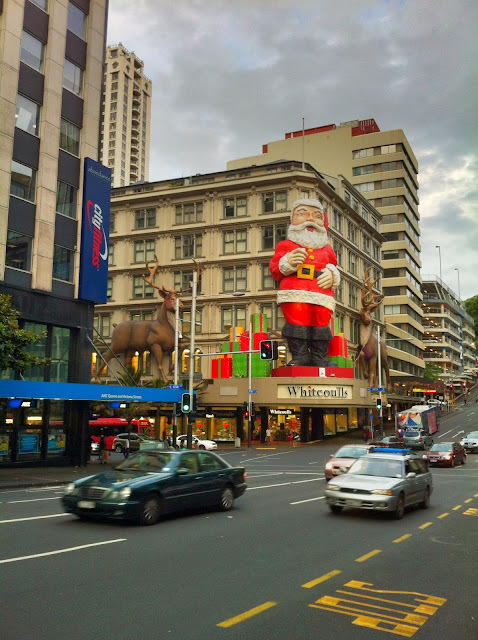 This Father Christmas was originally on the Farmers building in Hobson street. I don't know for how long but it was there in 1976 when I moved to Auckland. When the Farmers closed mid 1990's it ended up in storage only to be restored and put in Queen street in recent times. One of his eyes used to wink and his finger moved but I think maybe this was thought too sleazy for modern day Santa.